*Service coverage is available only for Mac and its original included accessories for protection against (i) defects in materials or workmanship, (ii) batteries that retain less than 80 percent of their original capacity, and (iii) up to two incidents of accidental damage from handling of your Mac, each incident being subject to a service fee of $99 for screen damage or external enclosure damage, or $299 for other damage, plus applicable tax. If your Mac has catastrophic damage from an accident or is inoperable after unauthorized modifications, you will need to buy a replacement. MacBook delivers more performance in the lightest and thinnest Mac notebook ever. 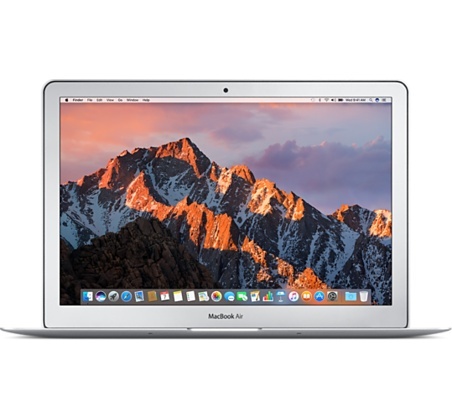 With seventh-generation Intel Core processors, 12-inch Retina display,1 a full-size keyboard, force-sensing trackpad, versatile USB-C port, and all-day battery life,2 MacBook features big thinking in an impossibly compact form.